We’ve covered a wide range of clean, minimal, and general blogging themes, so it makes sense to dig a little deeper with some of the ones we like the most. 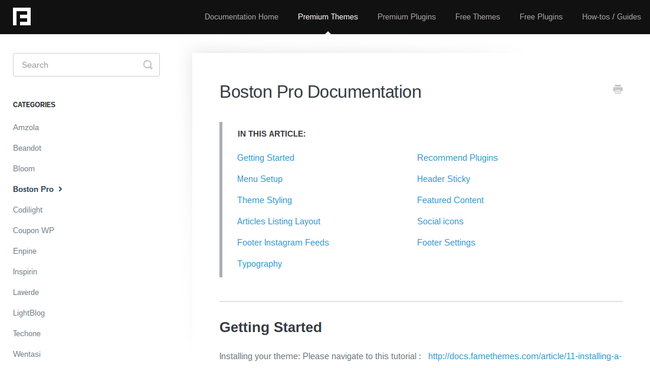 The Boston Pro theme by Famethemes seems like a good place to start, since it’s a favorite among bloggers in all sorts of niches. The Boston Pro theme lends itself to a light, airy feel due to its use of negative white space. The header includes a centered logo area and social media buttons for a simple introduction for your reader. 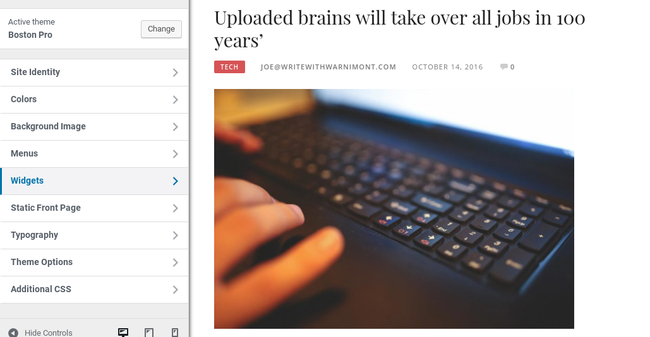 You can showcase multiple featured images and links to your most recent blog posts. Along with quite a few handy widgets and a basic interface on the backend, we can’t say enough to those who are considering Boston Pro as a permanent solution for a blog. Boston Pro is versatile and can be used for websites in all sorts of industries – including travel, fashion, photography, web development, finance, lifestyle, and more. The theme is currently listed at $49, so you don’t have to spend much money upfront to establish a minimalist, fully-functional website. What’s more is that the developers at Famethemes offer a free, basic version of the theme so you can give it a test run before buying. As you can see from the front-end, Boston Pro looks pretty great. What about managing the site on the dashboard, though? Well, it all begins with a super fast one-click demo installation. Then, migrate to the menu area to configure your navigation. The majority of the settings are housed in the theme customizer, with tools for widgets, menus, colors, and typography. Boston Pro’s customization options are user-friendly enough that the novice blogger can set up a website on her own. You can’t beat a theme developer who knows what people want in terms of support. Famethemes provides a ticketed system for people to make requests. But the true value comes in the form of the theme documentation. This is where most developers will look for help, and Famethemes delivers again. Each of its themes has its own set of documents. So, for Boston Pro you get links to articles like managing sticky headers and even a list of recommended plugins. Along with an FAQ, multiple tutorials, and a social media presence, the Boston Pro support resources really stand out to us as a comprehensive value-add for the DIY blogger. In terms of blog themes, sometimes developers take the word minimalist too seriously. You can still make a blog with interesting, functional features, right? This is yet another reason to appreciate Boston Pro – you get a clean website and cool features like localization, custom theme widgets, an Instagram footer, a carousel slider, infinite scroll, social media icons, Google Fonts, and primary color options. 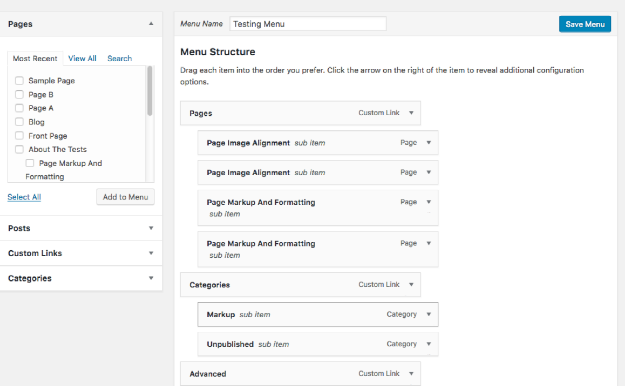 Along with that, the custom page templates give you access to various pre-made pages. The documentation covers all topics from getting started to footer settings and typography. The article list on the homepage comes in four different variations, giving bloggers some choices on how to display their most recent post listings. Social icons are managed in the menu area and are super easy to link up and launch. It also lets you adjust the location of those social buttons. Simplicity is the key with this theme, but the developers still managed to include all sorts of visuals, such as the Instagram footer feed and a multitude of typography options. The slider only allows for featured and recent posts. It’d might be nice to be able to upload your own images, like if a blogger was having a webinar or promotion. The features are plentiful, but customization is a bit limited. For some bloggers this is great, but more advanced writers and content creators may want more. In that case, we recommend finding third-party plugins that can do the heavy lifting for you. It’s hard to complain about the theme’s price since it is already so low, but $49 may be a bit too high for beginner bloggers who just want a basic theme. Who Should Be Using Boston Pro? One thing’s for certain with Boston Pro: you really shouldn’t have to ever contact the support team. The documentation gives you all the information you need if you run into a problem, and Boston Pro’s many pre-built elements are hard to mess up. Who would I recommend Boston Pro to? It’s a theme for bloggers, simple as that. Which industry? It doesn’t really matter. Some might say that it looks a little more feminine than ambiguous, but I could definitely see a male travel blogger or photographer finding success with the theme. Your images and design choices will most effectively convey your brand. Beginner bloggers will have no problem understanding the basic settings, and even the more established bloggers have no reason to pass up this website template. Should the theme be used for business websites? Probably not. It would work well as a separate blog, but probably not as the landing page for your corporation. So there you have it! 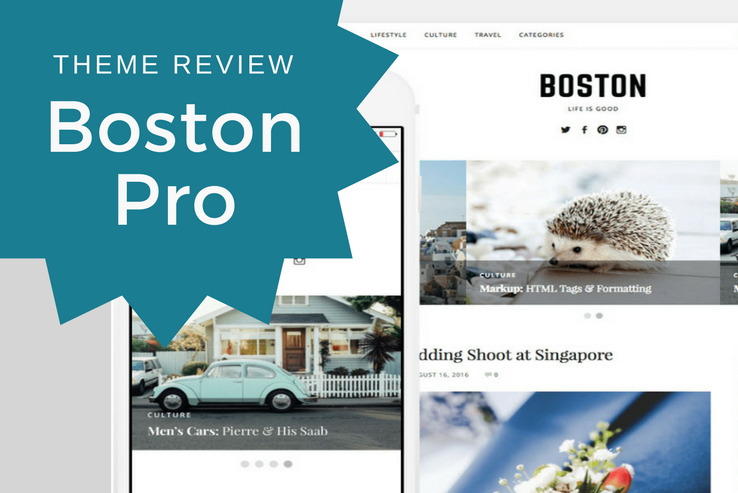 If you have any questions about this Boston Pro review or if you’d like to share your own experiences with the theme, drop a line in the comments section below.